– declares the homepage of My Residual Profit. Wow! If true, nothing short of amazing, do you agree? But – will it deliver as they promise? 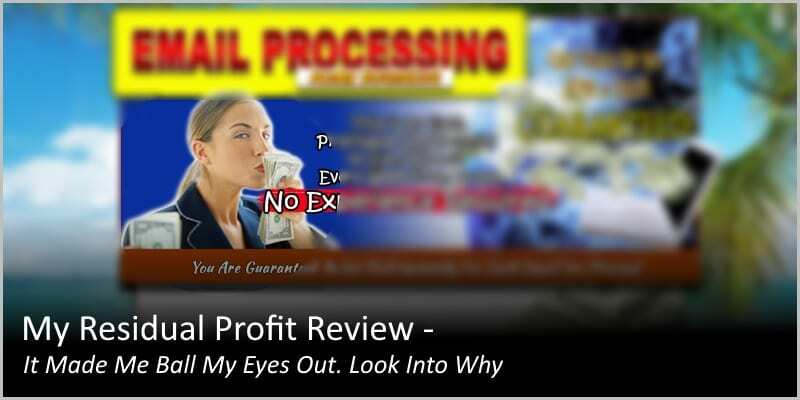 Let’s take a closer look in the My Residual Profit Review below. Let’s cut through all the theatrics to the meaty reality and see whether it is a real deal… Whether you have found a “Golden Key” to success… Or just stumbled across a cunning online scam? My Verdict: My Residual Profit is a scam and not a very good one. It is well known that you need to get in very early on a pyramid scheme to make money off of it. However, My Residual Profit has been around too long and has likely exhausted the supply of would-be members. Stay clear. Better ALTERNATIVE to the My Residual Profit scam that will help you make $1200+ a month online. And these testimonials are proof. What is My Residual Profit About? …But before I explain how My Residual Profit works, let’s see what they promise. 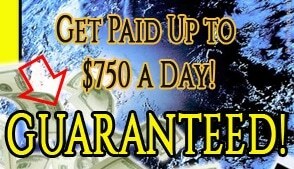 Get paid up to $750 a day. Guaranteed. Guaranteed to get paid instantly $25 for each email you process. Again, pretty attractive offer, do you agree? …and it goes on forever. No, there’s no product. The whole business plan is to recruit new members in the system and get their $25. Then teach them to do the same for others. They call it ‘Email processing’ while, in fact, it is nothing but spamming others with My Residual Profit ads and emails while trying to recruit them. Is My Residual Profit a Scam? As I already explained, the only way you can make money within My Residual Profit, is by recruiting new members. There’s no product to sell, no value produced… It’s just about moving money from one pocket to another. From lowel levels to upper ones. The huge problem with My Residual Profit is that there are only so many people on Earth who are willing to pay $25 to participate in this kind of pyramid. To make $7,500 a month (as they promise), you just need to recruit 10 new members every day. It’s not much, right? But remember, all these 10 new members want also… $7,500 a month. Which means, on the day 2 all these 10 people recruit 10 new members. So there are already 100 people involved. On the day 10 the system requires 10 billion people. But hey! There’s only 7.6 billion people on Earth! See how quickly you run out of resources! And that counts only 1 (one!) work day for each new member. Which, obviously, means that whenever a member within the system makes $7500 a month then a great majority of new members can only lose money. That’s true – A huge majority of members only lose money! And this brings me to the next red alert. 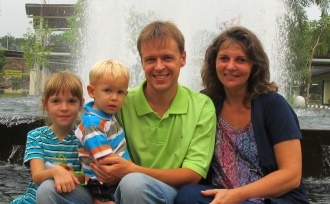 The problem described above probably explains why all 6 testimonials on the My Residual Profit website are so outdated. See! These two (plus 3 other) testimonials were published on Youtube back in 2014. It’s 4 years ago. The only remaining testimonial comes from 2015 (3 years ago). Which, apparently, suggests that the pyramid may have run its course, at least until it’s reinvented and relaunched over again with a new domain name. Tired of scams? Here’s what I use to make legit money anywhere in the world. A closer read of the disclaimer also parses the site language more closely. For example, “Get paid up to $750 a day! Guaranteed” is not actually a guarantee. Because any amount of money (less than $750) can be considered “up to” $750 a day, right? So the statement isn’t a statement of fact or of a guarantee. Truth be told, you can easily identify these statements by the fact that they do not relate strictly to historical or current facts. Instead they use all kind of ‘clever’ words – such as “anticipate,” “estimate,” “expect,” “project,” “intend,” “believe,” “plan,” etc., etc., etc. All these words and terms are in connection with a description of potential earnings or financial performance. So therefore, notice, statements of future earnings are to be interpreted as matters of opinion, rather than as a guarantee. It, of course, gives you false assurance as if your daily/monthly earnings are guaranteed. While they are not. This is another clear red alert that the My Residual Profit is a scam. And a naked scam. First, let’s take your family and Facebook friends. Do you really feel comfortable spamming your family members, relatives, workmates, and Facebook friends? Do you feel comfortable recruiting them in the shady pyramid scheme? Once you have done that, where else will you turn to post ads? Yes, you are right – Nowhere. Second, Craiglist. Here too, you have an increasingly difficult uphill battle. As a result, your income quickly dries up. Even worse. My Residual Profit doesn’t even do the work of teaching you how to build your own landing page or website, so you can spam on your own behalf. So, there isn’t even an educational benefit to the program. The one upside is that it’s probable that, if you spammed all the sites you could, you might find someone else who would participate, and thus recover your $25 investment. But, believe me, that’s an extremely poor use of your time. This is a plain lie. Whenever you visit their site, the opportunity is always there waiting you. Remember, it is designed to create a false sense of urgency in your brain… And to get you act at once. In short, they smell blood and close in for the kill. …That doesn’t disguise itself in a bunch of words and links and secret codes. My Residual Profit says exactly what it is – a pyramid scheme. And thus a scam. Please stay away. Don’t waste your time. Thank you for reading the My Residual Profit review. I hope you found it helpful. May I ask you, what are your thoughts about the program? Is My Residual Profit a scam or not? In your opinion, is it a pyramid scheme or a genuine work from home opportunity? Do you have personal experience with My Residual Profit that you want to share? Please drop me a comment below. As always, your thoughts are more than welcome.